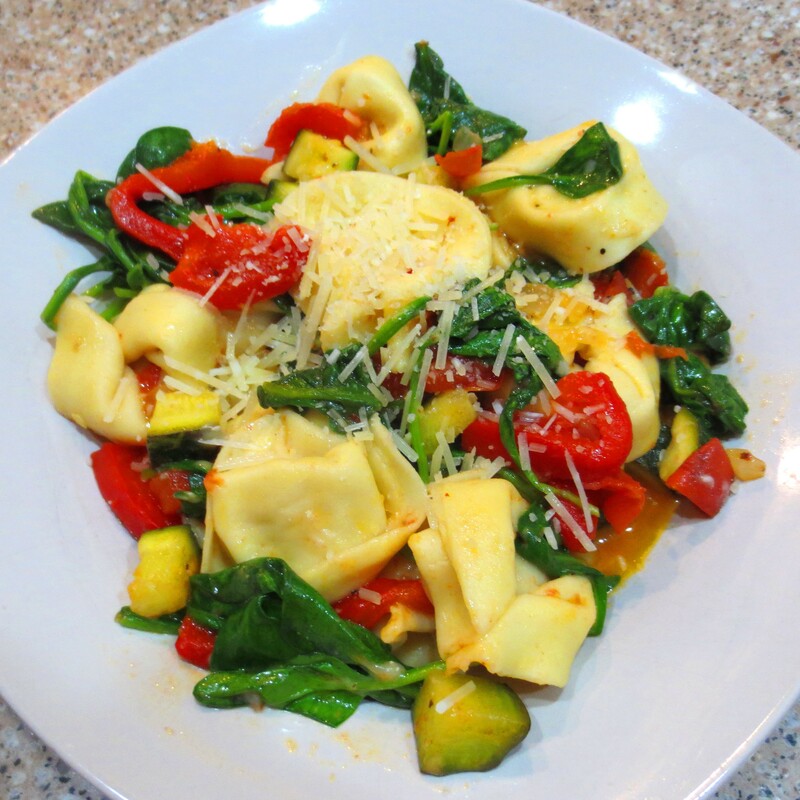 One of my favorite Meatless Monday dinners is Three Cheese Tortellini with Roasted Red Peppers, Zucchini, and Spinach. It’s colorful, (which means lots of vitamins), quick, and easy. Not to mention delicious. 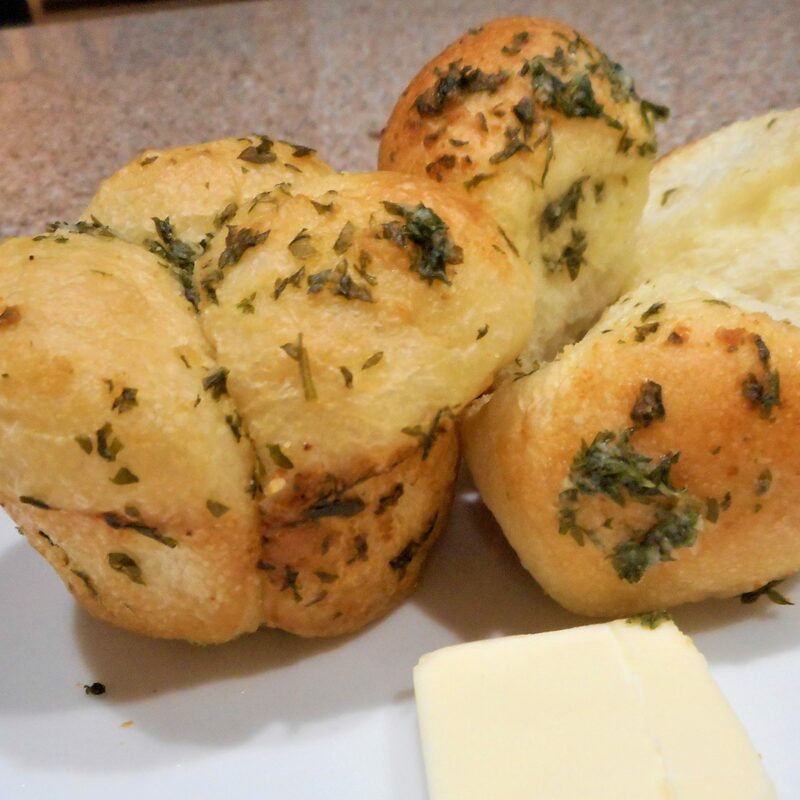 I usually top this with a little extra grated fresh Parmesan cheese, but that’s optional. 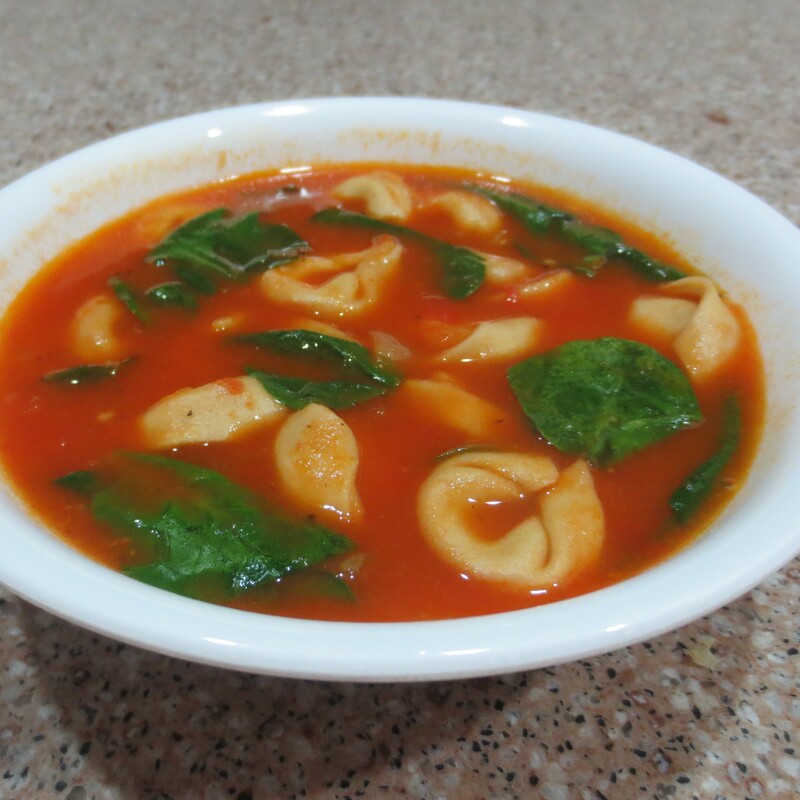 Another favorite, especially this time of the year when ripe garden tomatoes are abundant, is Fresh Tomato, Spinach, and Tortellini Soup. One usually thinks of soup as being cold weather fare, but this soup is so light and fresh I can happily eat it year-round. My most often chosen tortellini is the three cheese variety, but any flavor will work. The choice is yours. While browsing through my tortellini recipes I found this one for Ranch Broccoli and Tortellini Salad. I haven’t made that one in a while, but I do have a head of broccoli sitting in the fridge, just waiting for an assignment. That salad sounds like a Meatless Monday candidate to me. I might even sneak in a little crumbled bacon. Whoops! No longer Meatless. While we were at a club warehouse store I stumbled upon a jarred butternut squash pasta sauce. It was on clearance at a really good price, so of course I brought some home. I could figure out something to do with it, right? After researching butternut recipes on the web and, as I often do, combining a few, Vegetable Lasagna with Butternut Sauce was created. Oh My Goodness, is that stuff good! While the recipe is written using fresh butternut squash, the jarred sauce makes it a lot faster and easier to prepare. We are going to that store again today. I hope they still have some! 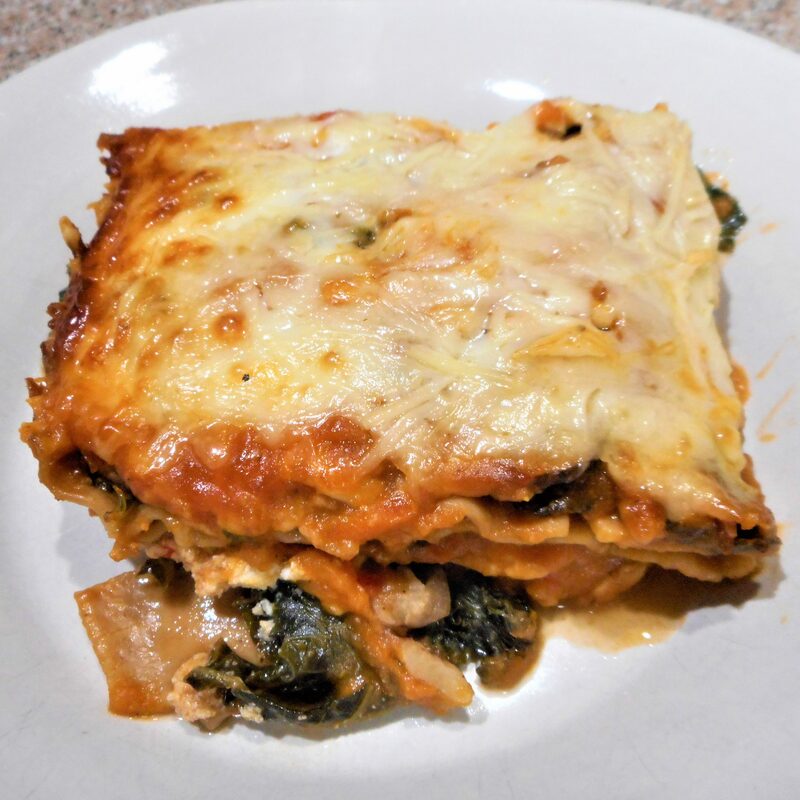 If not, I like that veggie lasagna well enough to start from scratch. That is, if I can find butternut squash this time of year. Maybe in the freezer section? Michael won’t deny the fact that he is a dessert junkie. I try to prepare some sort of dessert for him once a week. 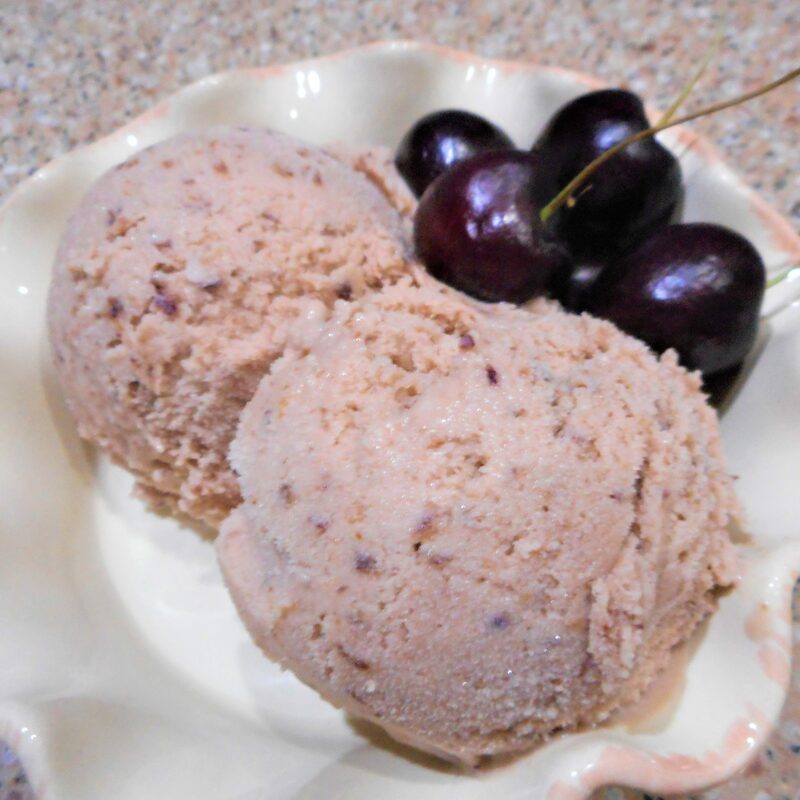 This week it was a cheery batch of cherry ice cream. I used my recipe for Fresh Fruit Custard Ice Cream, which is very versatile. Any fruit can be used, fresh or frozen. I most often stick to strawberry, cherry, or peach, but I’ve been toying with the idea of trying to make butter pecan. We’ll see! 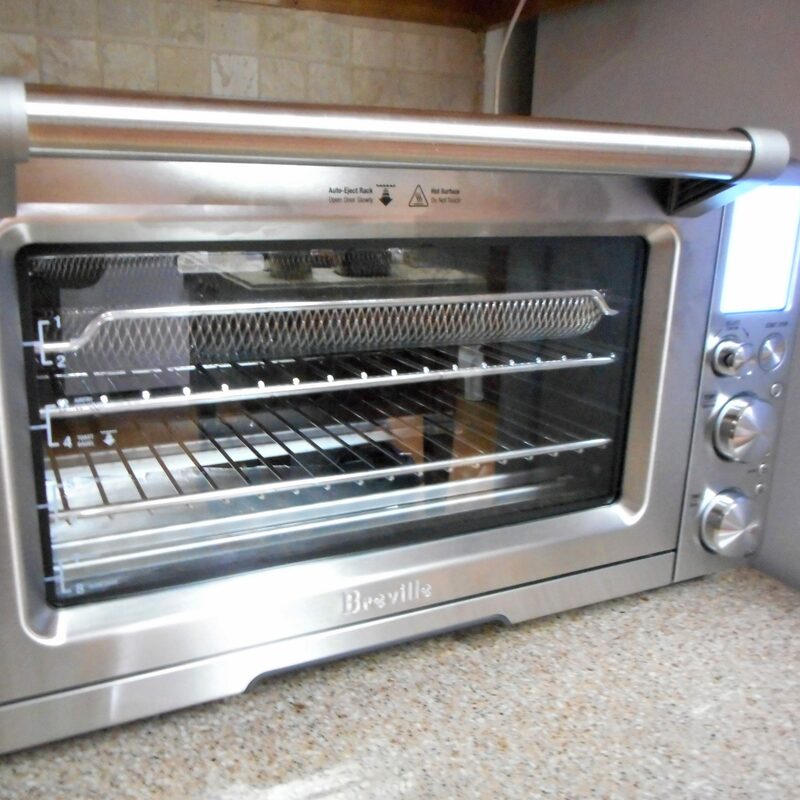 I just got a new “toy” in the mail. I’ll tell you all about it next week, after I’ve had a chance to work with it. Be thankful for what life gives you. This entry was posted in Uncategorized on August 8, 2017 by lizziesmom2012.